This years Pinotage Top 10 Competition has attracted a record 148 entries -19 more than last year -and it welcomes 19 brands entering the competition for the first time. 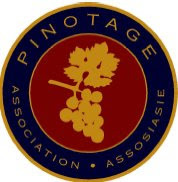 The annual competition, now in its 11th year, is run by the producers' Pinotage Association and is sponsored by ABSA Bank. The competition is unusual in choosing 10 equal winners in order to be able to recognise and reward different styles and interpretations of South Africa's Pinotage grape variety. As usual, wines from the Stellenbosch district are in the majority, but altogether 30 different Wine of Origins are represented. The three areas with most entries are Stellenbosch with 49 wines (33 in 2006), Paarl with 16 (17 in 2006) and Western Cape with 15 (5 in 2006). There were no entries from outside South Africa. Entries come from six different vintages, with 40% from 2006 (59 wines) and 30% from 2005 (45 wines). The oldest vintage is 2002 (one wine) and there are six from the recent 2007 vintage. 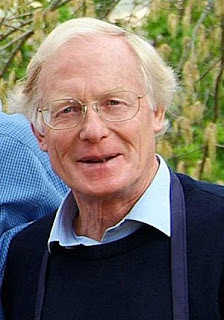 This years Judges will be Duimpie Bayly(Pinotage Association Vice Chairman & Cape Wine Master), Charles Hopkins (winemaker), Chris Roux (winemaker), Dave Hughes (wine writer, Cape Wine Master), Neil Pendock (wine writer), Michelle Cherutti-Kowal (wine lecturer in England) and Julian Brind (UK Master of Wine). They will taste all the wines, then retaste the 20 highest scoring wines to determine the final winning Top 10. "This is their most expensive (NZ$45) and flagship wine and I think sums up their style the best – it had a dark inky purple color and a rich fruit forward nose with ripe lack plums and cedar coming through predominantly. These follow through on the palate but more as secondary flavours and are complemented by a fleshy, sinewy, almost mutton characteristics both in terms of flavour profile but also texturally. These were also underpinned by rich and heady coffee and cacao flavours. It had a taut, drying tannin structure which offset the sweet ripeness of the wine. Personally I don't think this wine will be everybodies cup of tea (isn't this the case with everything) but I really enjoyed enjoyed it and think it is probably the best example of a Kiwi pinotage." Karikari Estate's first vines were planted in 1998 with their first vintage in 2003. They now have 40 hectares planted with Syrah, Merlot, Cabernet Sauvignon, Franc, Malbec, Pinotage, Chardonnay, Viognier and Montepuliciano. The Pinotage is their most expensive wine. 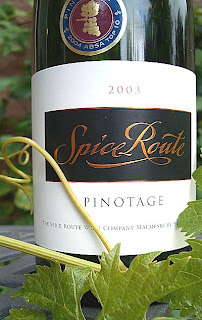 Winemaker Ben Dugdale has this to say about the current 2005 Pinotage. 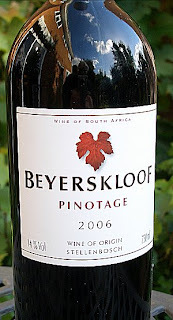 "What I aim for in this wine is a clear, pronounced varietal definition of Pinotage. The vines give us fist sized rather compact bunches of ovoid shaped berries. The skins are tight and reasonably thin, pulp quite firm and the seeds small. It reminds me in some ways of Pinot noir and that has influenced the method of vinification. I prefer about 30-40% whole berries in the ferment, which allows a little carbonic fermentation aroma to lift the fruit in the resultant wine. I do not enjoy the characters that post ferment maceration give the wine so generally remove the skins within days (sometimes hours) of the wine reaching 0 brix. Pressing lasts a few hours and I generally add the press wine back to the “free run”, unless there is a damn good reason not to. The wine undergoes malolactic in barrel and usually goes for about 2 months. The wine is racked post malolactic fermentation and sulphur added. The wine remains in barrel for about a year with regular topping. At the end of maturation the wine is pumped into tank and prepared for bottling. 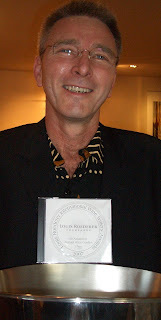 I felt there was no great benefit in fining or “adjusting” the acid in this wine – so was very happy to leave it alone"